Lisa Finger is a Registered Dietitian and ACE-Certified Personal Trainer. She has been writing nutrition and exercise articles for "Latino Lubbock Magazine" since 2009, a publication in her hometown. Finger specializes in weight loss and wellness. She holds a Master of Science in nutrition education from Columbia University. The manner in which lipids are transported in your body is essential for your health and well being, possibly meaning the difference between life and death. 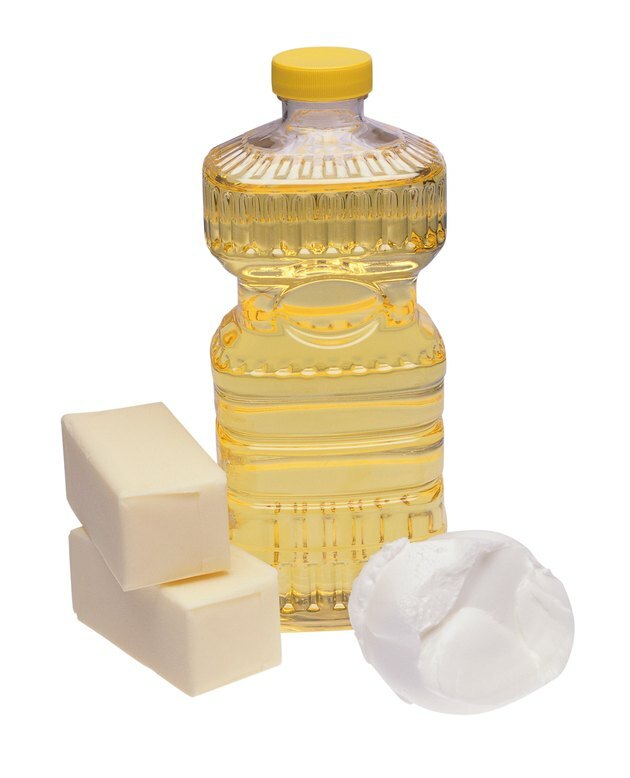 Although the term fat is often used interchangeably with lipids, fats are only a subgroup of lipids, namely triglycerides. Lipids are also made up of phospholipids and sterols, such as cholesterol. Because lipids are insoluble in water, they require a special transport vehicle to move through the body's bloodstream. These transport vehicles are called lipoproteins. Lipoproteins are classified according to their composition. Chylomicrons are primarily made of triglycerides, with some cholesterol, and are the largest and least dense of the lipoproteins. They are responsible for transporting the fats you eat, also called exogenous fats, from the small intestine to the rest of the body. As the chylomicrons travel in the body, cells take the triglycerides they need. Once all triglycerides have been removed from the chylomicron, the chylomicron remnant is carried to the liver where it is dismantled. Very-Low-Density Lipoproteins have less triglycerides as chylomicrons, approximately 50 percent triglycerides, with some cholesterol. Unlike chylomicrons, these lipoproteins are made endogenously, or within the body, in the liver. Only a small fraction is derived from the diet. VLDL's deliver triglycerides to cells throughout the body. As the triglycerides are removed, VLDL's change in composition, becoming denser as the proportion of cholesterol and protein relative to triglycerides is much higher. Consequently, VLDL's are reclassified as Low-Density Lipoproteins as they are metabolized. Low-Density Lipoproteins are mostly made of cholesterol, with fewer triglycerides than VLDL's and chylomicrons. The purpose of LDL's is to transport triglycerides to different organs and tissues in your body. LDL's are also known as the "bad" or "less healthy" cholesterol because an excess of cholesterol can cause dangerous plaques to form. Plaques causes blood vessels to narrow and stiffen, which can result in atherosclerosis, heart attacks and even strokes. High-Density lipoproteins are the most dense of the lipoproteins because they consist of mostly protein, approximately 50 percent, and less cholesterol and triglycerides than LDL's. HDL's are referred to as the "good" cholesterol because high levels protect against heart disease. HDL's remove excess cholesterol from the body and carry it back to the liver where it is recycled or disposed of. Why Do Doctors Monitor the Concentration of LDL & HDL?